If you have ever had an injury, especially one that required surgery and/or physical therapy, you know how difficult it can be to get your body back to a somewhat normal state of functioning. It’s not just sports people that suffer from debilitating injuries. In today’s working world our knee joints, hips, shoulders, ankles, our feet, and our low backs are at equal risk for injury whether you have an extremely active career where you move all the time, or if you are working at a desk from 9-5. What are some of the best ways to work on recovering from injuries and what is going to get you back in the saddle or back on your feet faster? Let’s take a look. You may have heard of pilates, but have you heard of clinical pilates? Clinical pilates is a form of pilates that focuses on posture, core strengthening, focus, balance, control, strength, breathing, and flexibility. It is often used in combination with physical therapy to help you recover from injuries or injuries after surgery. It seems particularly effective in relieving or eliminating chronic low back pain by strengthening and retraining your core and stabilization muscles to support your spine and posture in the way that it should. 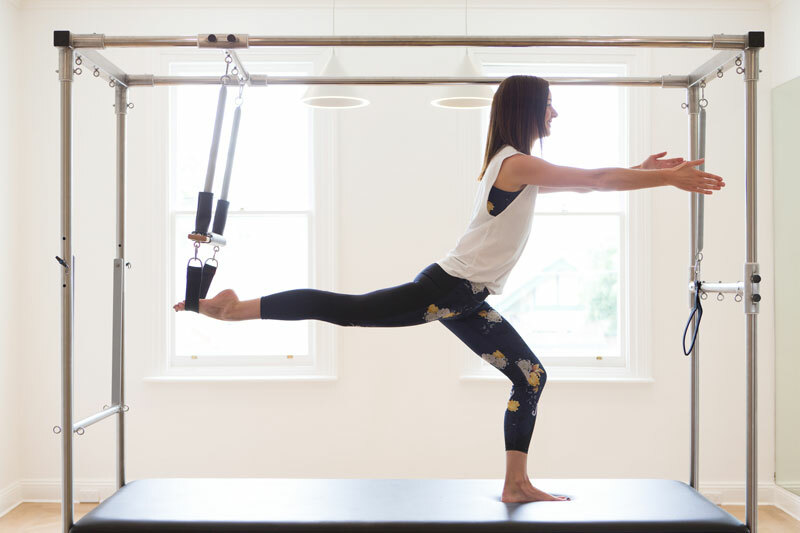 What is the difference between Clinical Pilates and Pilates? 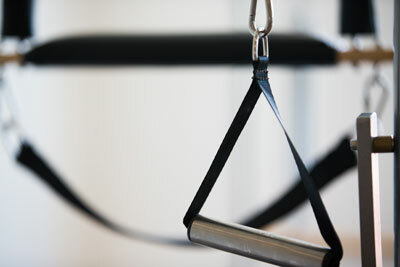 Clinical Pilates essentially takes a more personalized approach to treatment. Exercises as specific to your individual needs (as determined by a trained professional). This form of Pilates will adapt and change to suit your level and abilities. If injuries become aggravated through exercise, medication, or otherwise, then the program will adapt to your current physical status. The goal of Clinical Pilates is to help activate the specific muscles in your body that will bring the biggest rewards, namely fast and safe recovery and a return to full physical capacity. Rather than giving a general exercise program your Clinical Pilates trainer uses their knowledge and training to provide a tailored program which targets specific muscles. A good trainer will understand from working with you exactly what your body needs and prescribe a pilates program that gets to the core of the problem. Pilates can be beneficial for anyone with nagging pain, chronic pain, or when recovering from an injury. What you need to keep in mind is that general pilates may not always be the most appropriate activity for certain injuries and unique personal needs. Performing exercises that are not appropriate for your injuries or physical condition may put you at further risk of injury or aggravation of the existing trauma. Before you decide to pursue a clinical pilates class or program, make sure that you check with your physical therapist first to understand which exercises are going to help you and which you need to stay away from. Physiotherapists or physical therapists with Clinical Pilates training are experts in understanding how this form of training deals with injury and healing. Having a consistent level of physical activity is much better than having no activity at all. By staying active with clinical pilates you are going to have a better and more sound state of overall health, in both a mental and physical sense. When you exercise, your body produces hormones like endorphins, that help put your mind at ease and make give you that feel-good sensation. Regular exercise allows you to clear your head, makes you more productive, gives you more energy, enhances your ability to focus, and helps you sleep better at night. This is true of all exercise but Pilates has the added bonuses of being low impact, easy for beginners, and low-stress. Improving your body’s stability by strengthening your muscles is essential for keeping the body sound and functioning properly. By exercising your primary movers in your hips and shoulders, you are going to strengthen the muscles around those commonly injured joints and give your body a better foundation to move, work, and play with. Did you know that clinical pilates are great for women who are about to have a baby? When you are pregnant, your body has very specific needs and limitations in terms of diet and physical activity. Prenatal clinical pilates will give your body a safe and effective exercise routine for preparing to have a baby. 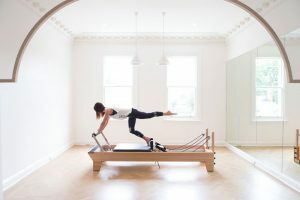 The best aspect of this form of pilates is that it is specifically designed to keep women and their children safe, by avoiding exercise that would risk or cause harm to either of them, while giving them exercises that will strengthen the mother and the baby and make birthing a child a little bit easier. Ladies, you may have heard this from your trainer or your physiotherapist before: “we need to work on strengthening and engaging your pelvic floor.” So what does that mean exactly? Strengthening the pelvic floor is important during and after pregnancy for maintaining strength in the pelvis and preventing injury to it. The weakening of the pelvic floor can actually lead to incontinence and difficulty standing up or getting up from a seated position, so strengthening your pelvic floor becomes really important with age. As we mentioned earlier, guided clinical pilates are a safe and super effective way to rehabilitate from an injury. The key to that statement is “guided.” you want to make sure that you first meet with a physical therapist or physiotherapist to take a look at you and assess your injury, posture, and imbalances. They need to work with your clinical pilates instructor to give you the right combination of exercises that you need to strengthen your weak muscle groups, as well as the exercises that you need to avoid to prevent further injury or agitation. People who lack muscular support, have muscular imbalances, or have poor posture are much more prone to injury than those that have good posture and decent muscular stability and strength. Clinical pilates will help fix your posture, improve your muscular strength, correct imbalances, and improve flexibility so that you are infinitely more resistant to injury. Pilates is all about slow, controlled movement and coordination. Clinical pilates is ideal for older individuals and seniors because of the extra requirements for balance and coordination to keep yourself from falling and falling injuries. We can’t stress enough how important of a role posture plays in making your body a stronger, more balanced, injury resistant, flexible machine. Poor posture can lead to chronic pain and even surgery, so maintaining your posture with pilates is really important. Clinical pilates, with the aid of a physiotherapist, will help you make sure that your muscles are all the proper length and functionally stable so that you can have good posture. If you are a victim of neck pain, clinical pilates can target and strengthen the inactive or atrophying muscle that may be causing chronic pain or tension in your neck. If you have a fairly inactive desk job, it isn’t uncommon for your neck to get achy or sore with having it locked in the same position throughout the day. Clinical pilates can help stretch and relieve tension in your neck. Chronic low back pain is an extremely painful condition that affects millions of people around the globe. Clinical pilates can help strengthen your abdominal muscles, low back, and glutes. Strengthening these muscles gives your body a better frame and base to work from. This will help tighten the weak muscles and loosen the over-tight ones, with the aim of reducing or eliminating low back pain. See what therapist Mel has to say on how posture can cause neck pain. Core strengthening exercises are something that most of us just don’t get enough of. One of the focal points of pilates is core strengthening, and core strength is required in just about everything you do from sitting and standing for extended periods of time to performing weight bearing activities such as carrying heavy objects and even in playing sports. With sitting recognized as the new smoking in our sedentary working society, poor flexibility is turning into a chronic condition. Clinical pilates will help stretch the muscle groups affected by sitting, stooping, and mobile device watching back to their proper length so that you can be more resilient to muscular strain, joint pain, and injury. If you are recovering from an injury, have been suffering from chronic pain, just had or are in the process of having a baby, or may be suffering from poor flexibility, talk to your doctor or physiotherapist about starting clinical pilates. They will be able to give you professional guidance designed for your specific needs. 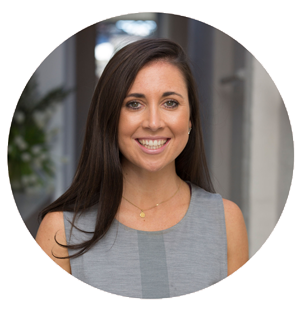 Marney graduated with a Bachelor of Physiotherapy from Charles Sturt University, Albury, in 2008. Following a period working as a physiotherapist in the public health system in Melbourne, she ventured overseas to work and travel throughout Europe before returning and becoming a senior member of the Domain Health team. Marney has a special interest in sports physiotherapy, fitness, Pilates-based rehab, and holistic wellness. Marney has had experience in Women’s Health physiotherapy and involvement in football, netball and rhythmic gymnastics clubs. As a director at the Sum Of Us, Marney advocates that a foundation of sound postural control and dynamic stabilisation through movement, can not only help reduce pain and assist in rehabilitation, but prevent pain, injury and improve quality of life. She also believes that a multitude of factors can affect the wellbeing of people. She likes to have an open minded approach with her clients to optimise outcomes and assist them in generally improving their body, health, wellbeing and life.